VATICAN CITY (CNS) — The shouts of joy and cries of despair that greeted Pope Francis’ recent changes to canon law regarding liturgical texts appear to be exaggerated. “Just a few words have been changed” in canon law, so “we will have to see how it goes in the concrete,” said the cardinal, who is a member of the international Council of Cardinals advising the pope on church governance and is a former member of Vox Clara, the committee that advises the Congregation for Divine Worship and the Sacraments on liturgical translations in English. Neither Cardinal Gracias nor Msgr. Markus Graulich, undersecretary of the Pontifical Council for Legislative Texts, expect a change anytime soon in the English translation of the Mass. Pope Francis’ document, however, could have a more immediate impact on what German- and French-speaking Catholics hear at Mass. The German bishops shelved their translation in 2013; they will discuss the new document at their general assembly in late September. A new French translation of the Mass already was under discussion by the Vatican and French-speaking bishops’ conferences, but it has not yet been approved by the conferences and formally submitted to the Vatican. The new document “gives a little endorsement now to (bishops’) conferences and, in that sense, it’s certainly in the direction of what the Holy Father wants: that conferences take more responsibility and healthy decentralization,” Cardinal Gracias told Catholic News Service Sept. 19. “The word ‘fidelity’ added (to canon law) is from ‘Liturgiam Authenticam,'” he said, referring to the 2001 instruction on translations, which was issued by the worship congregation.The pope’s changes to canon law confirm its teaching, although “minor modifications” are possible now. 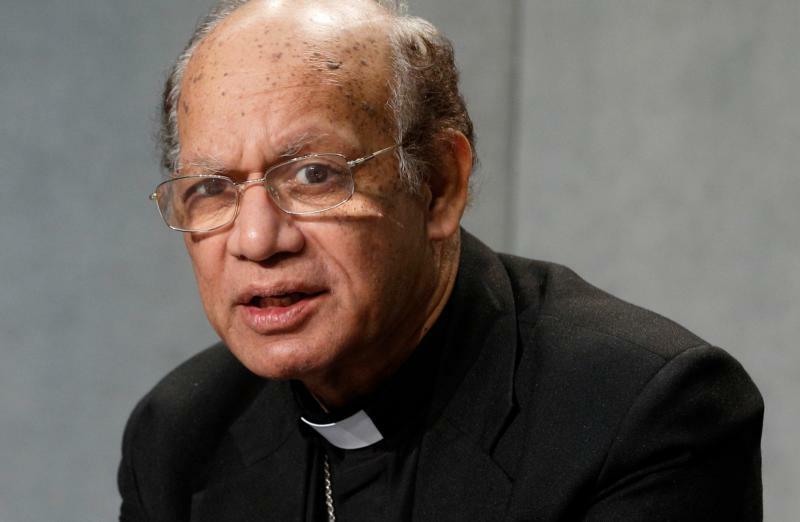 “I have a feeling this will open the door” to small national or regional changes, for example in the English text in Africa versus India or North America, the cardinal said. “My personal opinion is that it is very convenient to have one translation for the whole world, but if there are such serious difficulties, I don’t think we should force them” to accept a unified translation. He, like Msgr. Graulich, cited the example of bishops in Africa who said that having the people respond to the priest, “And with your spirit” creates difficulties in societies still influenced by animism or belief in witchcraft. “The door is slightly ajar now for some variety,” Cardinal Gracias said. At the same time, Msgr. Graulich said, the new law encourages collaboration between bishops and the Vatican in judging what constitutes a faithful translation into a specific language. “You have structures of language in Latin — and Italian and Spanish — that we don’t have in German,” he said, referring to grammar and, especially, verb tenses. The obligation, which Pope Francis formally added to canon law, that translations be “faithful” to the Latin is the responsibility of the bishops’ conference doing the translation, he said, “but then, as the Holy See has to confirm that, it is a second check. It’s more check and balance” than shifting power.